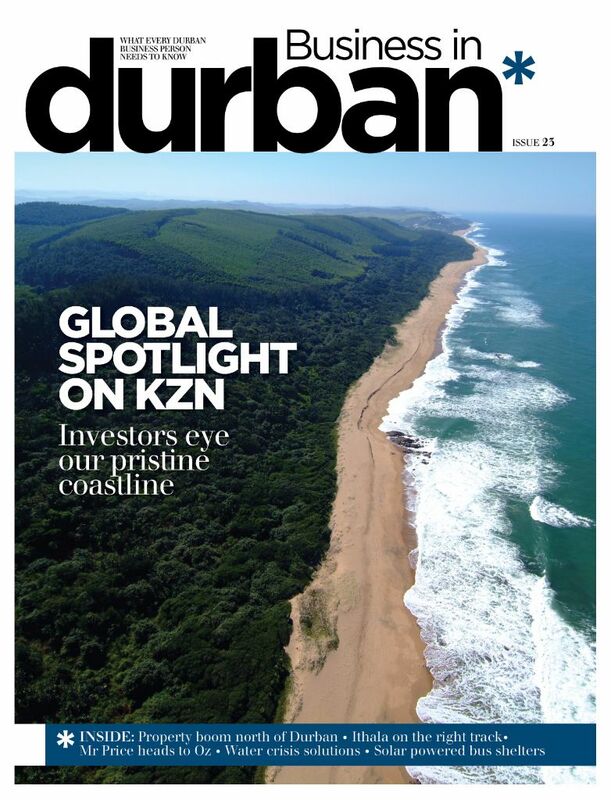 After a tough few years, KwaZulu-Natal’s Provincial Development Agency, Ithala, appears to have turned the corner on its troubles and is poised for significant growth. As the only financial institution owned by a Provincial government in South Africa, Ithala Development Finance Corporation has long been synonymous with development and empowerment in some of KZN’s most historically neglected areas. Ithala was a pioneer in SMME development and corporate social investment long before they became buzzwords.The organisation was also the first to provide banking services to rural communities, and it set the trend of establishing shopping centres in outlying areas of the province. But in recent years a series of high profile scandals has tarnished its reputation. These centred around financial mismanagement – most notably its funding of several questionable property developments – as well as allegations of cronyism. Now, thanks to a turnaround strategy set in motion in 2012 and launched publicly in early 2013, Ithala believes it is back on track. News reports have stopped using the word “embattled” to describe it and last year it received its first clean audit in five years from the provincial auditor-general. The institution’s Divisional Manager: Communications and Marketing, Thuli Galelikile, explained how they’d achieved this. “The implementation of Ithala’s group repositioning journey to reclaim its position as the prominent developmental finance institution in KwaZulu-Natal comprised an initial phase of focusing on strengthening the institutional, financial and governance foundation that is essential to support business growth. “The strategy has enabled Ithala to get its house in order and reassert its development role. Ithala is now poised to move forward on a new trajectory that will result in enhanced business growth, improved sustainability and greater impact in its key development role,” Galelikile said. According to several sources, Ithala is ideally positioned to be a major beneficiary of State plans to identify its unused land and make it available to the private sector on long-term leases. With the Provincial government in charge of implementing this policy in KZN and Ithala now back on track financially, the organisation would be the natural choice to finance the lease deals as this would keep the money circulating within the province. Asked about this, Galelikile said it was “far too early” to comment specifically on this, but she did say Ithala had plans in place to make a significant contribution to the regional economy over the immediate and long term. These plans included co-funding the “Green Economy”, particularly renewable energy and green building projects in KZN, ongoing involvement in executing Government’s rural economic development plans, as well as development of small towns in KZN. Once an embarrassing manifestation of its financial woes, the Ithala Trade Centre nearing completion at the Point is now a potent symbol of the organisation’s turnaround. Ithala originally financed construction of the multi-storey building – previously named Dolphin Whispers – to the tune of R84-million, but construction was halted because of structural defects and lack of funding. Now, with the faults fixed and the funding in place again, construction is back on track and, according to Ithala’s Thuli Galelikile, their Corporate Services Centre staff will move into the premises in September, with other tenants taking up the remainder of the space. 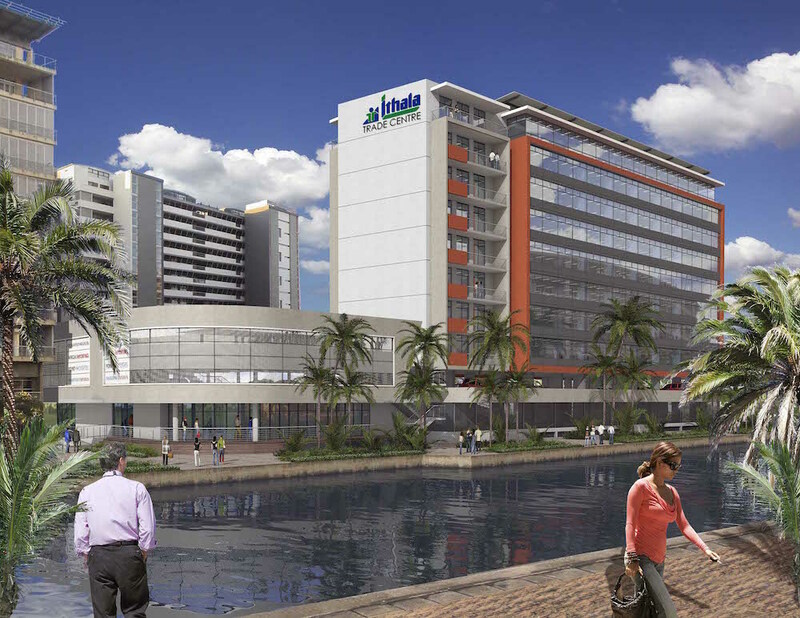 “Our property portfolio is central to our development mandate and we see the Ithala Trade Centre as a flagship in our commercial portfolio and believe that this project will enhance the area by contributing to mixed-use development, regeneration and growth on the Point Waterfront,” Galelikile said.